“At last the breeze has gone aft I can write something. We left Opua at 0230am on the 6th June as the wind went west. We passed Carrera at Russell but they didn’t want to say hello, must have had a bit on or don’t talk to cruisers being a race boat. But most likely they just had a bit on. 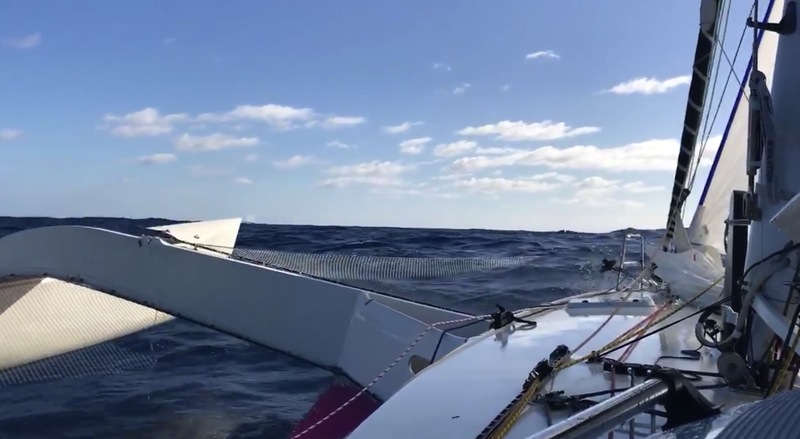 “The team were a bit quiet on the first day as it was very bumpy past North Cape, the offshore bikie, Namibian diamond hunter and the PBO (poor bloody owner) catching up on sleep from the early start, age does that. “Had the fishing line out on the second day, lots of birds but going a bit fast. 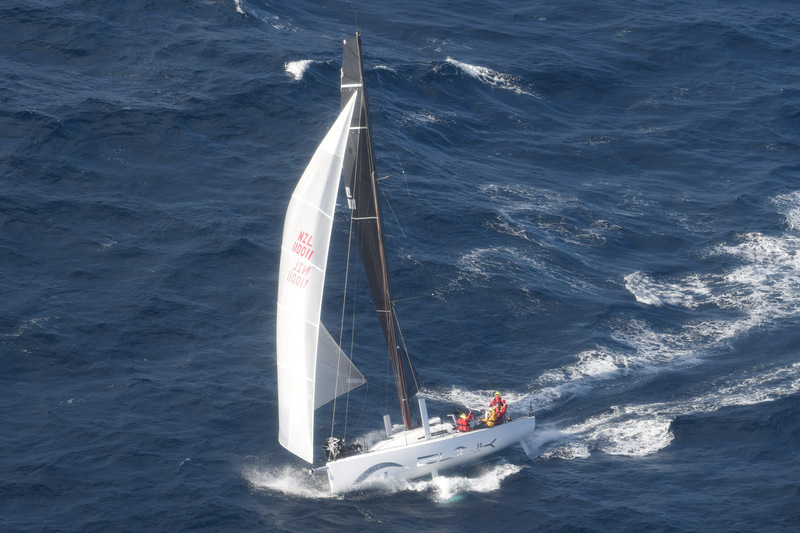 “The Moody Super Tanker going well on a fast beam two sail, one reef and partly furled front sail. 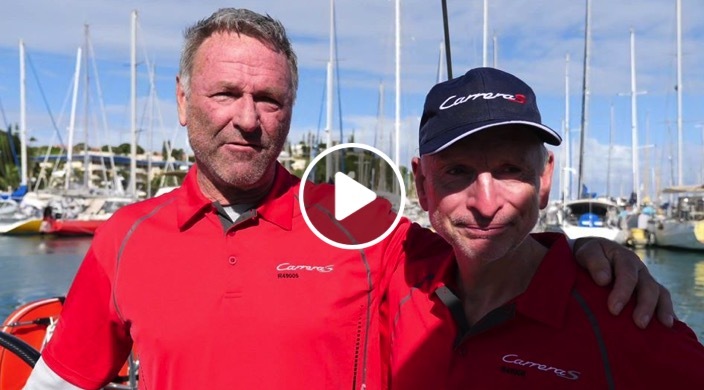 “We are now off the land of the Newly Weds and nearly dead (Norfolk Island) which is half way and the southerly has kicked in. 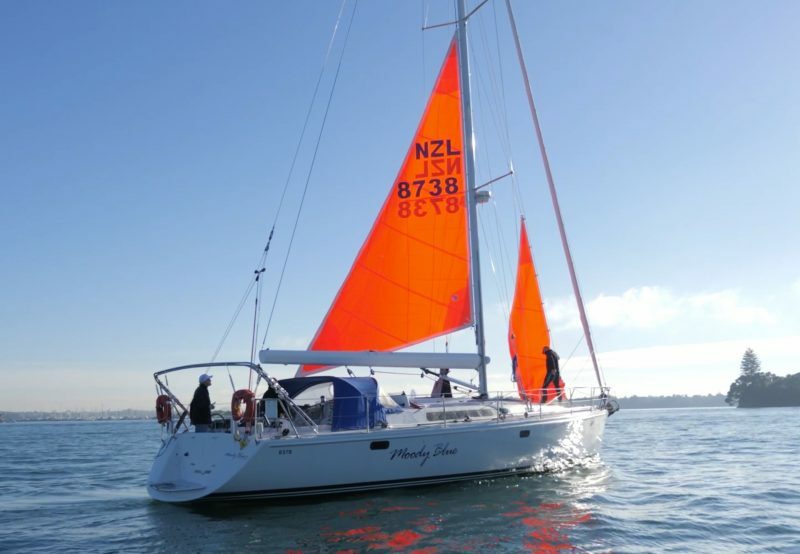 “Headsail poled out with the “0” inside, great cruising rig with full main. “Aiming to finish Saturday morning and hold off Clockwork and not to far behind Carrera.